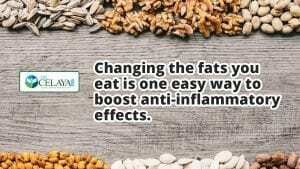 For decades, media experts have promoted a diet high in omega 6 fats — found in corn, soybean, canola, and safflower — to lower cholesterol and reduce the risk of heart disease. 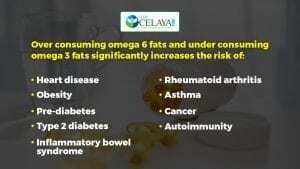 We now know excess omega 6 fatty acids is connected to type 2 diabetes, heart disease, obesity, psychiatric issues, and cancer. 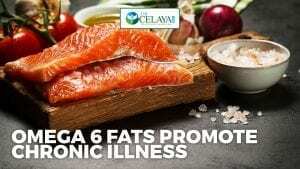 Even more, they reduce conversion of plant-based omega 3 fats into essential, active forms of omega 3s called EPA and DHA—by about 40 percent!